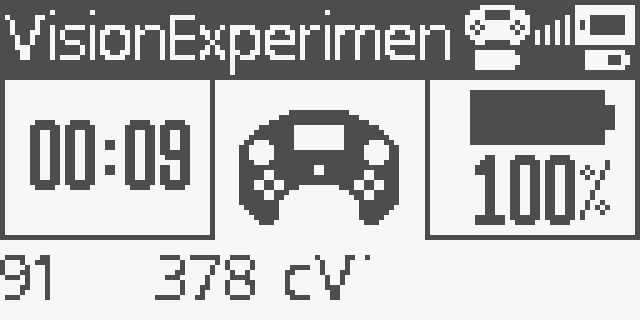 The V5 Controller should be powered on and connected to the V5 Robot. 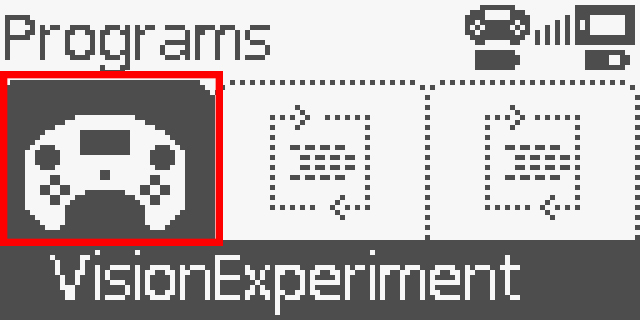 For help in connecting the robot to the controller, go to this page about pairing a V5 Controller to the V5 Robot Brain. 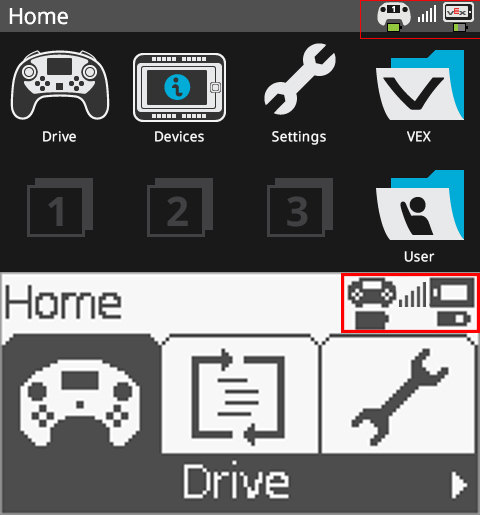 Use the arrow buttons on the V5 Controller to move the dark highlight over the Programs icon. Then press either the down-arrow button or the A button to select Programs. 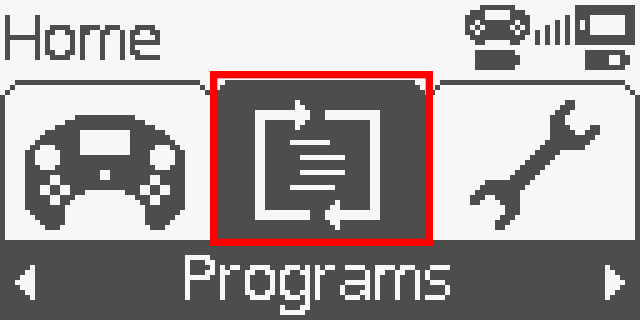 Use the arrow buttons to move the dark highlight over the icon of the intended program. 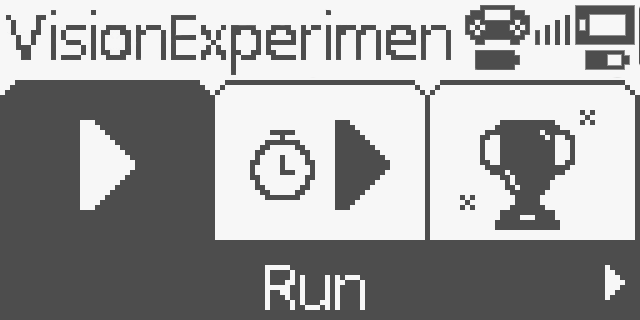 Press the A button to select Run. Use this screen while the program is running to monitor the program's runtime and the battery's charge. NOTE: To stop the program, hold the controller's Power button until it returns to the Home screen.